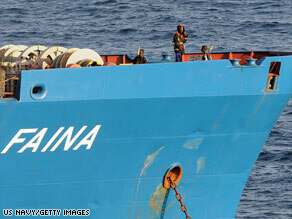 Japan is considering sending military ships to fight pirates off the coast of Somalia, officials said Wednesday. “We have to do something against pirates. We are considering various options, including sending Self-Defense Force ships or patrol vessels,” said Foreign Ministry official Mitsuhiro Kobayashi. The Japanese military is known as the Self-Defense Force. Japan has a modern, capable navy. Here JDS Kirishima. Japan is considering the deployment of military ships after the U.N. Security Council in early December extended for another year its authorization for countries to enter Somalia’s territorial waters, with advance notice, and use “all necessary means” to stop acts of piracy and armed robbery at sea, Kobayashi said. Piracy has taken an increasing toll on international shipping, especially in the Gulf of Aden, one of the world’s busiest sea lanes. Pirates have made an estimated $30 million hijacking ships for ransom this year, seizing more than 40 vessels off Somalia’s 1,880-mile coastline. Japan’s government said no Japanese ships have been hijacked this year, but pirates fired at three Japanese vessels. No one was injured. 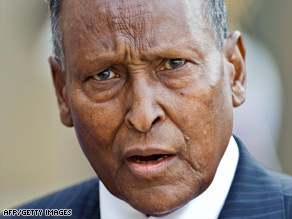 The explosion of piracy off Somalia’s coast is an attention-grabbing product of internal chaos in the Horn of Africa country, and a problem that will outlast the administration’s success this past week in winning U.N. backing for possible pirate-hunting raids on Somali territory. “We have a framework in place now to deal with this issue, but it’s not going to be a very easy one,” State Department spokesman Robert Wood said. You are currently browsing the archives for the ransom category.